I came up with this today and it was well received by the little ones, especially Mae Bae, who gobbled up her entire serving. This is notable because until today has never been convinced that eggs are anything other than some sort of evil poison I'm attempting to convince her to eat. And my favorite part of the recipe? It's easy! Preheat oven to 400 degrees. Coat coffee mugs with non-stick spray (or butter). Mix ingredients in a medium bowl until combined. Divide equally between cups. Bake at 400 degrees for 13-15 minutes or until a knife stuck in the middle of the popover comes out clean. I actually really enjoyed it topped with a spice hot sauce that I'd made for my enchiladas (that recipe should be coming soon!). 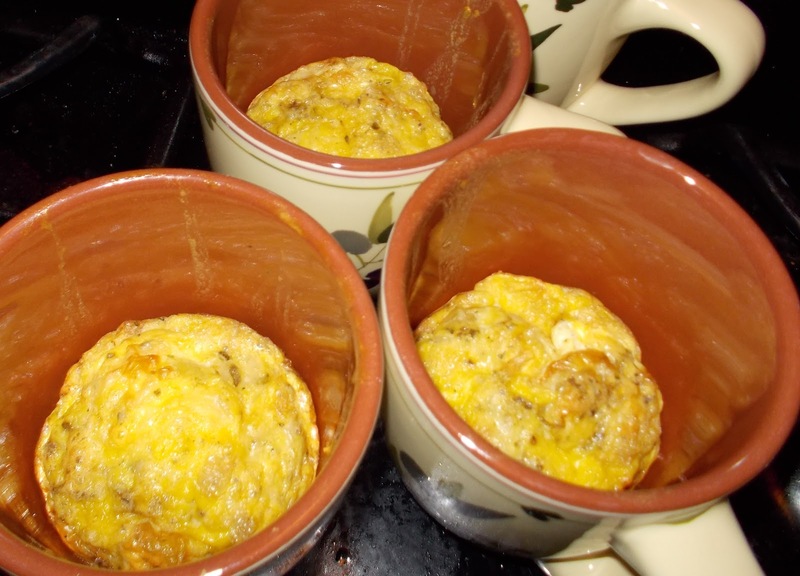 And head over to Lisa's Try a New Recipe Tuesday link up for more fun recipe ideas! I used to make these in advance, then freeze them and reheat in the toaster oven when I lived in Saint Andrews. Well, sort of. My recipe looked a little different. Still, though, I think you just suggested what my tea would be today.